The story has evolved to become more cinematic. 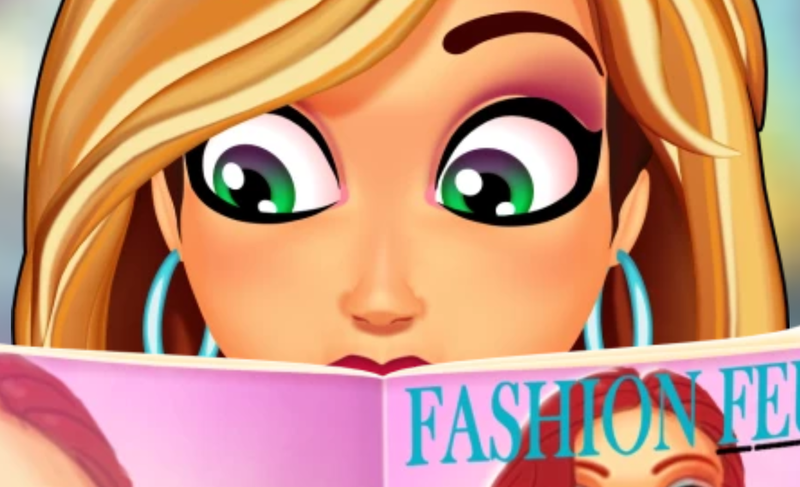 Gestures were added to make the game more fashion-themed. Players can collect clothing and customize their own model. Released in 2018 for iOS, Android and PC. The third game I worked on with GameHouse, and I was once again there from start to finish. We wanted to focus on servicing our mobile players, which had started to vastly outnumber the amount of PC players. We also wanted a different story that went back to its fashion roots, and to tell this story in a more cinematic way. I got the responsibility to outline and write the entire story for this game. I had to abide by a lot of wishes from the team that originally wrote our stories, as well as wishes from the development team. It was the most difficult challenge of my career yet: not only to make all those wishes fit, but also to keep the story fun and engaging for the player.